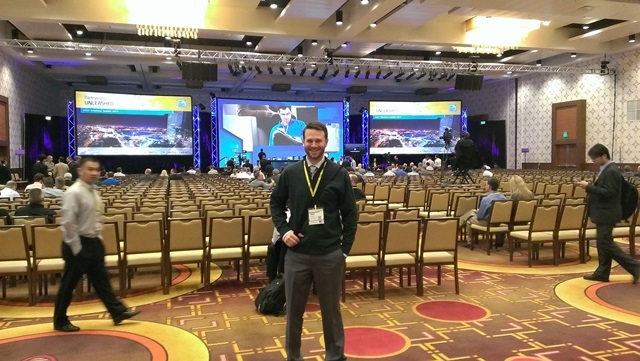 Rodney and Chris, from Logic Supply’s engineering team, are attending the 2013 Intel Solutions Summit in Los Angeles. They are still on the showroom floor learning about the latest technology from Intel but until they return with more details, we wanted to share with you some teasers from their trip. The Intel Next Unit of Computing, also known as the Intel NUC, is a new small form factor developed by Intel. Logic Supply has provided our own industrial spin on the Intel NUC in the form of the AG960. At the Intel Solutions Summit, Intel is showcasing the (next) Next Unit of Computing barebones succeeding the currently available Intel Core i Box Canyon, Ice Canyon, and Celeron Deep Canyon. This includes a 3rd generation Intel Core i5 barebone and a 4th generation Intel Core i5 barebone on the way. Our team was also able to get a sneak peek at a few Haswell motherboards. Haswell is the upcoming 4th generation of Intel Core i processors, that will succeed the current 3rd generation Ivy Bridge, that reduces energy consumption and improves processing performance.